Vertical Woven Window Treatments - by Exciting Windows! Horizon custom averte vertical woven window treatment with twice the fullness. Horizon custom woven wood roman shade. 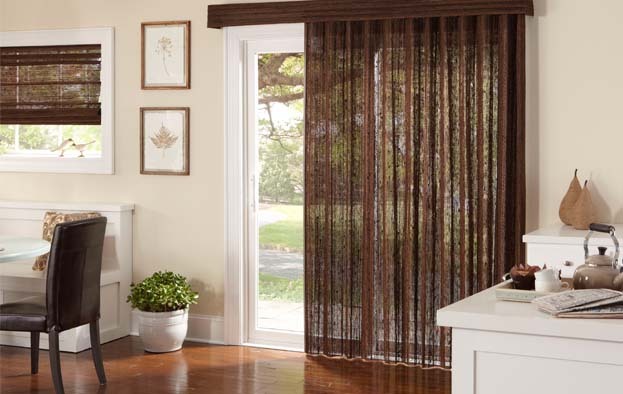 Both woven treatments have a 6″ valance with matching fabric. These vertical woven wood treatments provide beauty and functionality. No kitchen is complete without matching woven wood roman shades for the standard windows. There are many textures and fabrics to choose from, so let us help you personalize your home today!